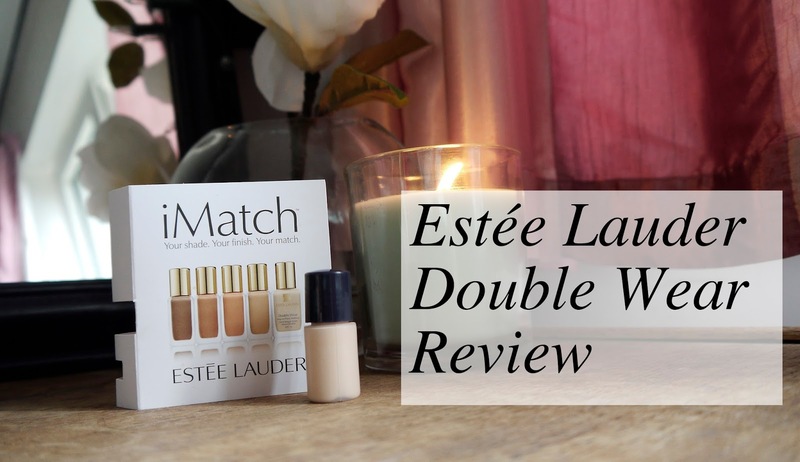 Estée Lauder Double Wear Foundation Review! So this is the last of my foundation samples that I’m testing out! (I may have purchased a few other full sizes, but that’s a different story). Anyway let’s get started. This retails for £28.50 (from boots) for 30ml. It’s a medium to full coverage foundation. I’m the colour Shell, which I think is the lightest pink toned foundation, the yellow toned foundations were just too yellow for me. (I can only now see Shell Beige on boots website, which doesn’t seem right…). I’ve been flipping back and forth with this foundation colour, sometimes it seems perfect, others it doesn’t quite look right. I’ve decided though that I like it. It does require some blending down my neck and I also go in with a damp beauty sponge to blend everything together at the end of my base application (foundation, concealer etc). This is thinner than the Revlon Colorstay foundation but not as runny as Chanel vitalumiere aqua. It applies really easily with a buffing brush, just make sure to start with less and gradually add more. It can leave you with “cake face” if you’re not careful! There is great longevity with this foundation. I’ve been known to forget to take my makeup off before exercising and this foundation has barely moved. It definitely lasts all day on my face, we’re talking 8hours easily. It barely breaks up around the usual areas and if it does a wee bit, it’s easy to pat it back in and re-blend everything. This foundation doesn’t clog up my face either, so no break outs or irritation, which was an issue with the Revlon Colorstay. All in all, I really like this foundation and I can understand why it is a go-to foundation for weddings! I am seriously considering buying in future. I would recommend checking it out for you wedding foundation. You can check out the video below to see how I’ve applied it.